Not sure if you are registered? Click here to see the list of registered attendees. The information included on the linked attendee list will be made available at the conference. Contact SCAA at katie@associationsplus.com if information needs to be corrected. 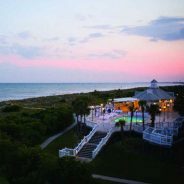 Are you registered to play golf on the Wild Dunes Harbor Course at the SCAA Golf Tournament on Wednesday, February 12. Shotgun is at 11 am and check in is at 10:30 am. Look here to see if you are signed up to participate. 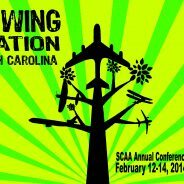 Register today for the South Carolina Aviation Association February 12-14, 2014 Annual Conference. Click here to register. SCAA Annual Conference will go GREEN for 2014. Online registration is encouraged and now available and promotion of the conference will be electronic. If you are unable to register online a pdf registration form will be provided. The conference program will not be in printed form but will be available through an app for increased functionality. A schedule will be available for download in advance of the conference if you are unable to download the app.